Location: Launaguet, in the Haute-Garonne departement of France (Midi-Pyrenees Region). 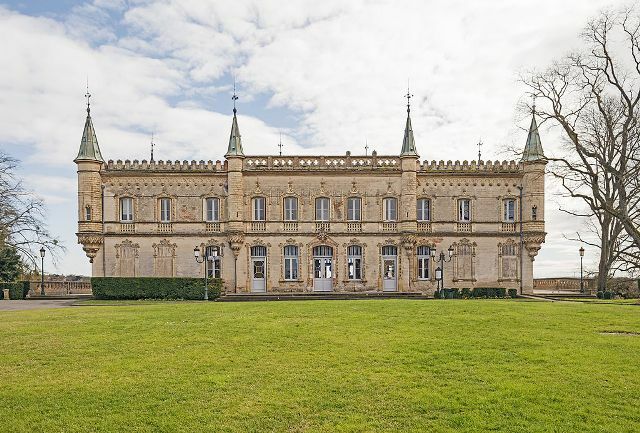 Notes: Château de Launaguet is a castle located in the department of Haute-Garonne in the southwest of France.The present castle was built in 1845 on the ruins of a mansion burned down in 1805. The estate was purchased in December 1843 by Jasques Dufaÿ-Henry, Baron de Launaguet, Prefect of Montauban and Master requests to the Council of State . His tomb is in the chapel, before the present church.This castle was restored by an architect based in Launaguet, Auguste Virebent.It became municipal property in September 1991 and listed building February 11, 1993.